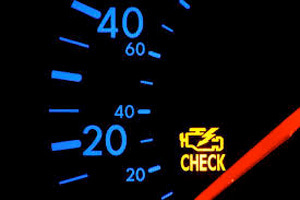 Consumer Action - Is your ‘Check credit report’ light blinking? This article answers your questions on why you should check your credit reports and other information regarding credit reports. I was in my new car tooling down a wide-open freeway—and believe me, in Southern California that’s a rare thing—when a light on the dashboard began to blink. I ignored it and kept driving, thinking I would take care of it later. But after several miles, the front end of my car began to shake violently. When I finally stopped to investigate, the damage was done. That light had been warning me of a problem with one of my tires. By ignoring it, I destroyed the tire and was driving on the rim. That thing was bald—I couldn’t even see that a shred of rubber had ever graced the hard metal rim. Mea culpa—the cost for ignoring that flashing light was astronomical. Don’t ignore the warning light! So as you take down the holiday lights, pack away the holiday decorations, and welcome the New Year in with a toast and cheerful chorus of Auld Lang Syne, make sure that your “Check credit report" light isn’t blinking. Make one of your New Year’s resolutions to check your credit reports. The cost of not checking your reports also could be astronomical. Consumers should check their credit reports for errors, to detect signs of ID theft, and to understand what information is in their credit report. By checking your reports, you will exercise an important federal consumer right—to receive a free copy of your report from each of the three major credit reporting bureaus every year. Most consumers don’t realize the impact that a credit report can have on their financial lives. Credit information increasingly has become a part of the data-gathering process for lenders, potential employers, insurance companies, landlords and utility companies. The information contained in consumer reports is used to predict your future behavior as a borrower, employee, tenant or insured individual, yet a recent poll by WisePiggy found that a third of Americans hadn’t checked their credit reports in the past year. What if the information in your report is incorrect? A study conducted by the Federal Trade Commission (FTC) found that about one in five, or an estimated 40 million consumers, has an error on at least one of their three credit reports. As reported by Consumers Union, more than five percent—about 10 million people—had an error that could cause them to pay more interest on new loans. Regularly checking your credit report can help you catch these errors. Most of us have heard of identity, or ID, theft, a crime in which an imposter steals your personal information and takes out credit in your name, leaving you to clean up the mess. The most troubling fact about ID theft is that you can be a victim and not realize it until considerable damage has been done to your credit history and your reputation. Account fraud and account “takeover” are the two most severe types of ID theft. They occur when someone obtains your information and opens new accounts in your name or makes unauthorized transactions on current accounts. With the news of the recent data breaches at Target, Home Depot, Lowes, Staples, the White House and Sony, the need to protect one’s personal information in this digital age is becoming more crucial. The Identity Theft Resource Center defines a data breach as an incident in which an individual name plus a Social Security number, driver’s license number, medical record or financial record (credit/debit cards included) is potentially put at risk because of exposure. As of Dec. 16, the Center reported 744 data breaches during 2014, resulting in close to 82 million U.S. consumer records being exposed. Read the report. According to Javelin Strategy & Research, consumers who are notified that their Social Security numbers were compromised in a data breach incident are five times more likely to become a victim of fraud than all other consumers, and 14 times more likely to become a victim of new account fraud. Checking your credit report regularly will reveal not only recent activity on your active accounts but also show any new accounts that may have been opened without your permission. So, what information is on your credit reports? Your credit report contains information about your borrowing activity, your bill repayment history and the status of your credit accounts. This information includes how often you make your payments on time, the amount of credit available to you, how much credit you are using and whether a debt or bill collector has you in its sights. If you are a renter, credit reports can contain rental payment information. They also may contain public records such as liens, judgments and bankruptcies. Also on file is your personal information—your name, date of birth, Social Security number, current and previous addresses and current and previous employers. Inquiries—a list of third parties such as lenders, landlords or insurance companies that have requested your credit report—are also included. Some inquiries reflect applications you have made for new credit while others are regular checks done by your current creditors, such as credit card companies or mortgage lenders. The reports also contain helpful summaries of the negative information in your report. Negative information could affect your ability to get new credit and could cause your credit score to tank. Each credit reporting agency creates its own report, and these reports don’t always agree. Regularly checking all three of your credit reports will help you catch serious issues. Why should you order a copy of your report? By not checking your credit report regularly, you miss the opportunity to catch an error or incident of ID theft or account fraud early. But the best reason to check your credit reports yearly is that all three reports are free. You have a right to free reports—so be proactive and exercise that right. Without opening your wallet or breaking out your payment card, you can obtain your credit reports from the three major agencies (Equifax, Experian and TransUnion) through the official website AnnualCreditReport.com. If you haven’t looked at your reports in the last couple of years, you may want to order all three at once. However, if you suspect that you may be a victim of ID theft or if your Social Security number is compromised in a data breach, consider staggering your reports by ordering one every four months. When ordering your reports, you may be asked some personal multiple-choice questions about your existing credit accounts. Be sure you answer the questions correctly or you may not be able to access your report online. (If that happens you can still order it by mail or phone.) Common questions include the amount of your fixed mortgage payment, the names of lenders who issue your car loan or credit cards, or past addresses you have lived at. The questions can seem a little tricky, so take your time, and know that “None of the above” is an acceptable answer if you don’t recognize any of the choices. If you haven’t checked your credit report within the last year, your “Check credit report" light might be blinking. Don’t drive blindly on—start the New Year off right. Order your free credit reports now.